Holiday shopping will never be the same. This past Thanksgiving and Black Friday weekend, in-store sales were down 1.5%. However, as terrible as that initially sounds, it may be due to the fact that holiday shopping deals are going on for longer both before and after the Black Friday holiday online. More retailers are dubbing it Cyber-Week making it more convenient for shoppers to get deals on their own terms and making that 1.5% seem a lot less meaningful. The real story of the season is mobile shopping (up 14.8% over 2014 and accounting for 60% of all online sales), which has come to the holiday shopping season’s rescue in a big way. According to the National Retail Federation, 103 million people shopped online with 102 million doing their shopping in brick and mortar stores, pushing total Web-based sales up 21% over the last year. 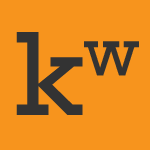 My firm, Internet marketing company Webimax, has helped clients use HubSpot for years. Recently, we have noticed many of our clients move to HubSpot from competitors, like Marketo, another marketing automation tool. But many customers are still not realizing HubSpot’s full potential. The CRM add-on could change that. For one thing, the add-on is free. As part of its strategy, HubSpot is counting on companies to switch from competitors or add its product to systems focused on other areas. Clearly, digital marketing has become increasingly important. Businesses know that the ability to collect information about consumers online behavior will give them a competitive edge and benefit their bottom line. HubSpot’s willingness to offer businesses a free product will undoubtedly attract small- and medium-sized businesses — especially those that wouldn’t be able to afford or take advantage of more powerful tools like those Salesforce offers. Ken Wisnefski is the Founder and CEO of NJ-based digital marketing agency WebiMax and has written blog posts for TheStreet, WIRED, C-Level and CMO.com to name a few. He has also been featured on MSNBC, Bloomberg TV, Fox News, and Fox Business to discuss marketing, technology, social media and e-commerce. 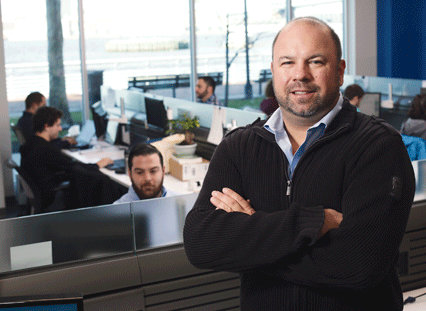 You were awarded most admired CEO by the Philadelphia Business Journal. What qualities helped you achieve this award? Persistence is the key to achieving real sustained success when starting a business. Every entrepreneur faces adversity in the beginning, but the definition of persistence is looking at that adversity as an opportunity to strengthen your resolve and move forward with your own vision of success. What do you want people to know about WebiMax? WebiMax is a digital marketing agency that stresses transparency over trade secrets to achieve the highest levels of success. We consider the businesses we work with to be our partners rather than just our clients. As a digital marketing agency, we were in on the ground floor before “digital-marketing” was the new buzzword. As technology and the way people consume media has quickly advanced, we have evolved – always improving our strategies to become an efficient power-house for our partners. You recently moved to Camden. Discuss why and how is it going? 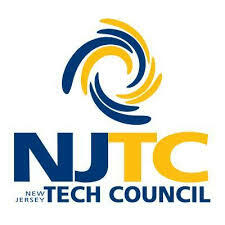 How do we keep/attract businesses to NJ? I think there is a strong case for tax incentives like the Grow NJ tax credit which helped companies like ours, Holtec, Lockheed and even the Philadelphia 76’ers come to Camden. NJ is consistently ranked as having among the worst tax systems for business. I think it is important to note that the state reached out to us with these incentives. It was good marketing on their part, and it showed us a willingness to work together. I think everyone involved is looking at a great result. More consolidation and more efficient services could also go a long way to stem the tide of businesses fleeing the state. In Camden, they use a county police force which has proven to be more cost efficient and effective in providing safety, security and trust for community residents as well as businesses. I really have to praise Mayor Dana Redd for her perseverance on this issue which faced a lot of scrutiny in the beginning. It has been so successful in fact, that last week President Obama touched down in a helicopter just across the street from our building to pay a visit to the County police force and residents and to talk about how it could be a model for the country. What do you feel are the keys to a successful online marketing campaign? The keys to a successful online marketing campaign are visibility, recognition and authority. Consumers are looking for brands they can trust. The mobile web provides consumers with everything they need to research a company, product or service from virtually anywhere. Having a robust web presence and incorporating search engine optimization is what creates visibility for companies on search engines. Creating valuable content like blogs, and engaging with consumers over social media will add to that visibility but also help build more recognition within a vertical market. A public relations campaign can also be a tool to help a company be recognized as a valuable source of information for industry publications and various news media, which will subsequently help a company to be viewed as an authority to the public. Another aspect of a successful online marketing campaign is reputation management. Up to 90% of people researching products online say they have been influenced by online reviews, so keep a close eye on what people are saying about your company on review sites and do what you can to address complaints and ultimately satisfy those customers. We have one hundred of the most talented and tech oriented employees you will find anywhere who rely heavily on the most up-to-date data analysis on all our campaigns. Looking at the analytics daily has helped us to see shifting trends in consumer behavior. We also constantly monitor the top players in the tech industry for new trends, new ad products and other advancements that we can utilize to do better for our clients. How do you make your clients feel at ease in the fast paced online marketing vertical? We provide regular communication with our clients regarding their campaigns and also share access to the same accurate up-to-date reports that we look at ourselves to determine our strategies and best courses of action. Our clients generally deal with one project manager and I will regularly step in to offer any guidance or assurances that clients needs to feel satisfied. Talk about marketing in NJ. What’s hot? What should NJ businesses be doing to stay ahead? My number one piece of advice to New Jersey businesses right now would be to get mobile and local. The data is in, and more people are accessing the internet through a mobile device than on traditional desktops or laptops, so it is very important that businesses make sure they have a mobile-friendly website that mobile users can easily utilize. Also search engines and social media are making it easier than ever for consumers to connect with the businesses that are in their vicinity. 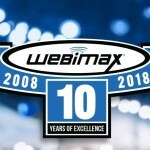 How has WebiMax changed in the last five years? As the way that people have consumed media and accessed the internet has evolved over the last 5 years, we have had to increase our offerings and emphasize new strategies to adapt to those changes. For example as I stated previously, more people now access the internet through mobile devices than laptop or desktop computers. With that shift has come an increased demand for web design that is responsive to the different screen sizes found on mobile devices as well as an increased focus on social media marketing platforms like Facebook, Twitter and Pinterest. Over the years, WebiMax has increased the number of locations in which we operate including Australia, the U.K., and back in March we opened an office in San Francisco. We want to be more available to our current California-based clients while also increasing our presence in an area where there is a great need for our digital services. Our San Francisco office will be mutually beneficial for both WebiMax and the West Coast business community in a way that I hope fosters our further growth to other areas both inside and outside of the U.S.
AT&T’s update of its U-verse mobile application to add more channels and to work with the Apple Watch focuses attention on the telecommunications company’s heated rivalry with Verizon for mobile-first TV everywhere programs. “Wherever the content goes, so do the customers, and it appears AT&T is taking the competition very seriously,” said Ken Wisnefski, founder and CEO of WebiMax. “Moves like what we are seeing from AT&T are key for companies wanting to play a larger role in our media future, especially as it relates to video,” Mr. Wisnefski said. “The next big thing seems to come out every other day, but those advances have a responsibility, I think, to prove their value to the market,” Mr. Wisnefski said. “We know the prediction that TV is going extinct and digital will overtake it. But exactly what players will end up dominating the field in say, five years, leads to a lot of conjecture, as does marketers trying to imagine what their jobs might look like,” he said. “As the ability to target the right consumer with the right ad improves on nearly every platform, providing data on consumers will be a key factor for advertisers deciding which platform to invest in,” said Ken Wisnefski, founder and CEO of WebiMax. “There are two types of people, those that get Twitter and think it’s amazing and those that don’t,” Mr. Wisnefski said. “The reason there are people that don’t get Twitter is that they can spend a lot of time on the platform before seeing the most targeted and relevant content and realizing the benefits. Unilever is borrowing a page from Amazon’s playbook with its plan to launch an ecommerce store on China’s JD.com to sell its Ponds, Dove and Vaseline brands and capitalize on the mobile shopping boom in the Asian country. “The rate of mobile adoption, increase in mobile payment options and more manufacturers and designers bringing more products to the Chinese markets are all inextricably intertwined,” said Ken Wisnefski, founder and CEO of WebiMax. As of last June, 527 million of China’s 632 million Internet users were mobile users, up 26.99 million over just the end of 2013. Last year, 205 million of China’s 332 million shoppers were mobile, but the semi-annual growth rate of just those mobile shoppers was 42 percent – 4.3 times the growth rate of the total online shopping market in China. “With that growth, companies like Unilever are seeing more demand for their products and more opportunities to bring different product lines to market in China,” Mr. Wisnefski said. Other analysts doubted that Brillo would eventually replace Android. “Putting the Internet into phones has led the march to mobile’s dominance in the way people connect to the internet at least in the U.S.,” said Ken Wisnefski, founder and CEO of WebiMax. “Android is the dominant OS in smartphones, and it would be a mistake to talk about replacing it with anything. “So from a simple marketing and branding perspective, I couldn’t see anything replacing Android in the short term, but when we talk about the Internet of things we are talking long-term and could be talking about a future where the Internet is in everything you can imagine and also some things you can’t,” he said. The question that Google is asking with Brillo and Weave, the common language Google is developing between devices, is: How can the objects that people interact with be improved by being connected to and have an understanding of every other object? Brillo will definitely change the way Android is developed, but people are still going to want a device with an operating system such as Android capable of breaking down high-level data in a way they can understand. Ken Wisnefski commented on the findings on a study by the firm Velvet Integrated PR that analyzed 1 billion native ads. “Getting people to click on something that appears to be an ad is a very tall order when surrounded by compelling, interesting articles and stories with facts and figures,” said Ken Wisnefski, founder and CEO of WebiMax. “We are living in a world where data is becoming an increasingly more valuable part of our everyday lives,” Mr. Wisnefski said. “There is so much content coming at us all the time over the Web, but people have a preference to see things that are to some degree quantifiable. 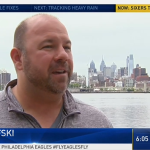 “A Web site that is mobile responsive and content are key for a lot of reasons, even if we’re talking about markets where social media apps are preferred,” said Ken Wisnefski, founder and CEO of WebiMax. “We have markets where people are going right to the source, so blog content is a huge factor, and that content needs to live somewhere that is easily read on mobile devices, if that content has any hope of being shared over social media channels. “We have markets where people primarily turn toward social media and messaging apps like WhatsApp, WeChat and KakaoTalk, but we have influencers on social media who have to have a source of information to have something to either share or say, so that comes back again to the content,” he said. 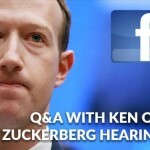 “News sites … have always been at the mercy of Facebook’s algorithms, and Facebook has no obligation to let us in on those,” says Ken Wisnefski, CEO of the digital marketing agency WebiMax. Facebook could provide more value to media publishers if it offers a guarantee that articles will reach desired demographics or certain amounts of users, he says. What Google is doing here is nothing new for digital businesses. We’ve seen it time and again: Once an internet platform has enough users, it attempts to aggregate different functionalities and content to keep those users from spending time on other platforms for other purposes. Most recently, see Facebook (FB – Get Report) instant articles. The challenge in aggregating is maintaining that core identity that brought them users in the first place. Google is a master at this. While continually offering more valuable services over the years (like Gmail, Gchat, Google Maps and more), Google has maintained a home screen consisting of a logo, a search bar and two buttons. Verizon’s power-play for AOL is not for its properties as much as its online video capabilities. AOL is a video juggernaut ranked 3rd just behind Google and Facebook at serving up desktop content videos to unique viewers per month, and 4th behind some lesser known competitors at serving ads that reached 41.9% of the U.S. Population in March, all via ComScore.